Hours of Laughter w/ the Mouthguard Challenge Game! 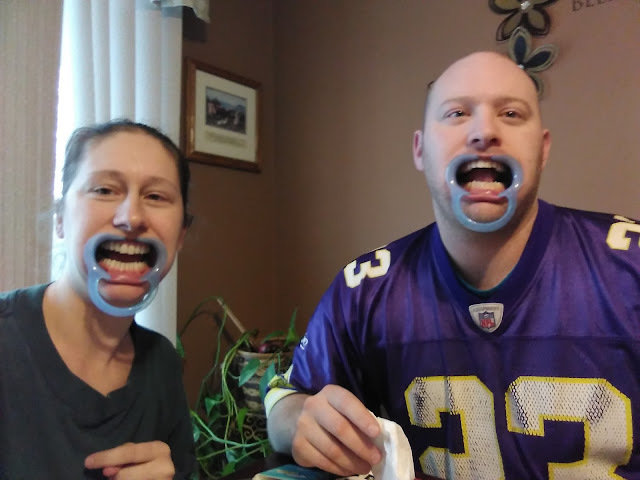 Thanksgiving in my husband's house is always a time to eat and have fun playing games as family! 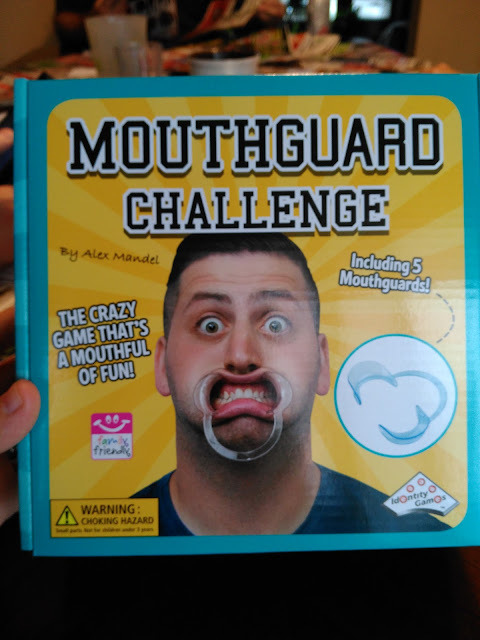 This year I was so excited to bring a new fun game to play - Mouthguard Challenge - and I can't even begin to tell you how fun it was! Check out more details below and check out the pictures - it's ok to laugh! We sure did!!! Based on the Youtube sensation with over 30 million views to date, Alex Mandel brings the newest Party game right to your home - "Mouthguard Challenge". The game comes with 5 mouthguards / cheek retractors / mouthpieces, 51 specially developed tasks, and revenge cards. Anyone can play the game or just sit back and watch the fun. The tasks not only contain words or phrases, but also challenge you in a completely different way! 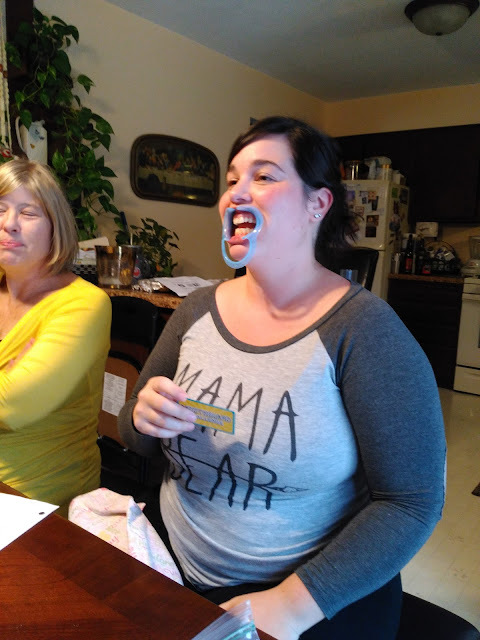 Break out the laughs with this Crazy party game that's a Mouthful of Fun! Great addition to party games such as Pie Face, Wet Head, Poopyhead and more! This game had us laughing with tears running down our faces from the moment we put our mouthguards in! We hadn't even started the game and we couldn't stop laughing! The cards do involve some food on several cards so you do have to be prepared if you want to do all the cards. We just skipped the ones we didn't want to do or couldn't and had hours of fun regardless! There were some challenging ones and some really funny ones! No matter which card you picked, it was hilarious just to listen to someone talk! 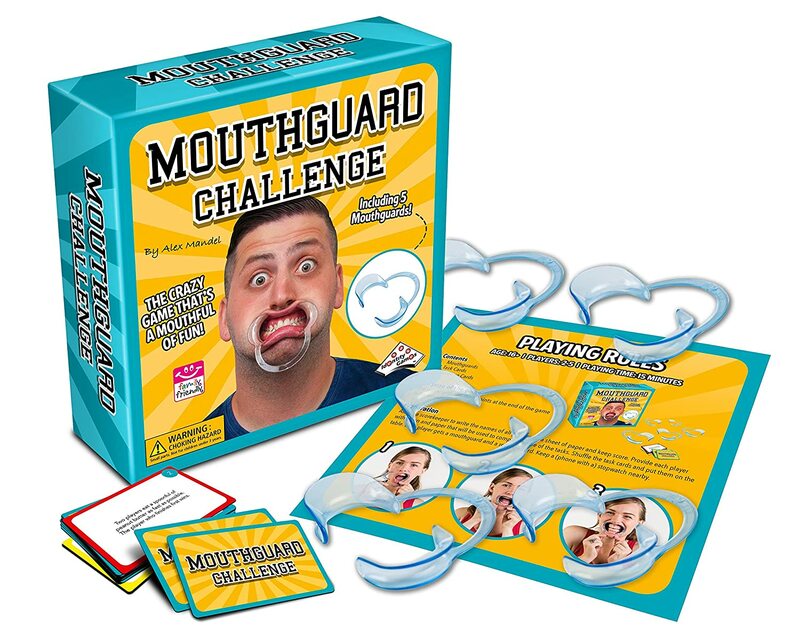 You can purchase Mouthguard Challenge from Amazon for $15.99. It is also available from Hallmark and other select specialty retailers.